Yellow gold modern deco style ring. 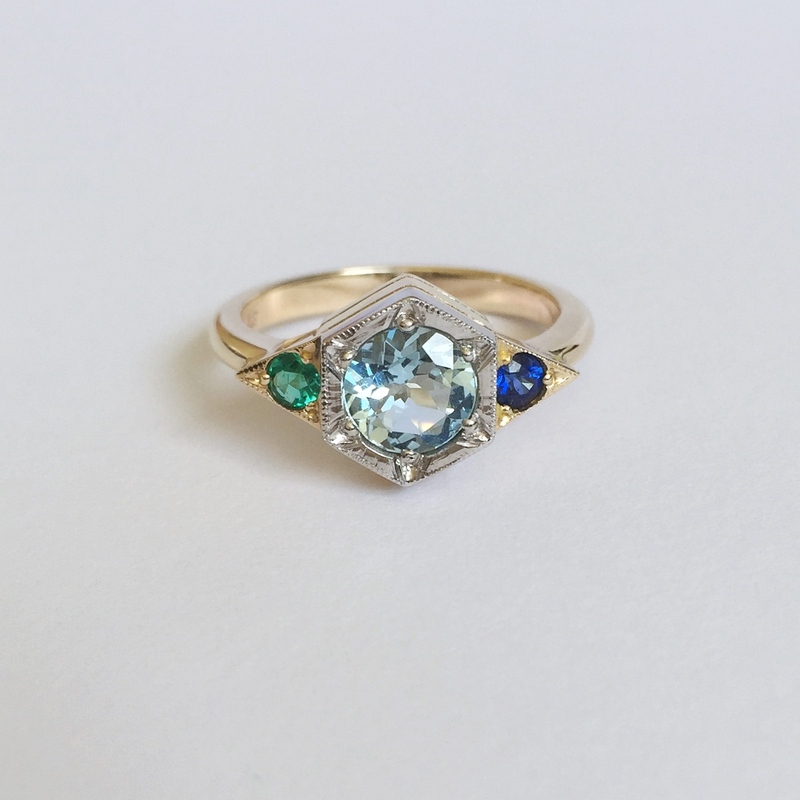 Featuring Aquamarine in the centre, with an Emerald and Sapphire either side. Representing the birthstones of the women in her family.